While you may not give the state of hearing as much thought as you do the health of your teeth or your eyes, it is essential that you routinely get your hearing tested. It can be a long time before you notice that there is something wrong with your hearing. Hearing loss often occurs gradually, and the earlier you detect an issue with your hearing, the sooner you may be able to fix it. All newborns should be screened for hearing loss. The American Academy of Pediatrics recommends that children undergo formal hearing tests when they are 4, 5, 6, 8 and 10 years of age and that teenagers should have hearing tests during wellness visits with their doctors. If you are between the ages of 18 and 45, it is recommended that you have your hearing checked every five years and then more frequently as you age. You should get tested every three years if you are 46 to 60 years old and then every two years after you turn 60. The frequency with which you should get tested will ultimately depend on your unique circumstances. A hearing test is a non-invasive, simple test that will determine to what degree you may be experiencing hearing loss and is essential in establishing a practical course of treatment. It may be administered in a hearing lab by an audiologist, conducted in a doctor’s office or in the workplace by a qualified professional. The test will begin with a visual examination of your ears. An otoscope will be used to detect any issues with your ear canals and eardrums. It will also help determine if there is an excessive buildup of earwax that can interfere with your hearing. The next part of the test involves wearing headphones to distinguish sounds at varying frequencies. The hearing care provider will ask you to identify the quietest sounds you can hear at each frequency to determine your hearing threshold. A speech test may also be administered and will require you to repeat words that are spoken to you at varying volumes and with or without accompanying background sounds. Other assessments may be administered, such as a tuning fork test. 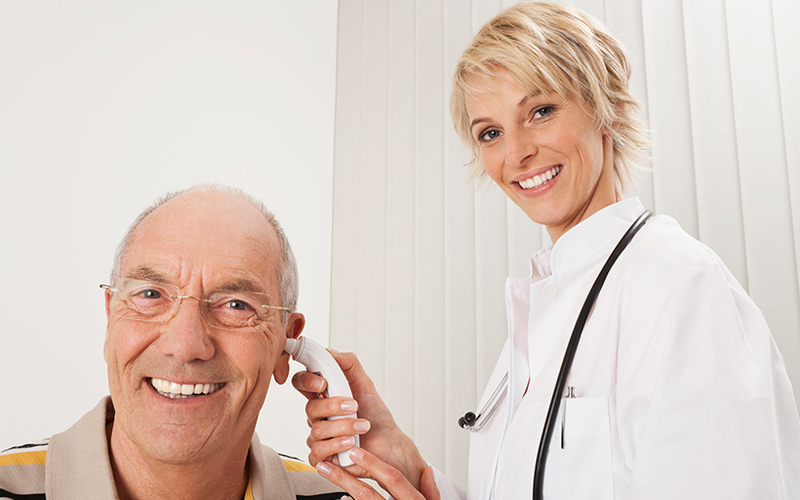 When your test is concluded, your hearing care provider will go over the results of the tests. You should make getting a periodic hearing test to monitor your hearing health a part of your overall health routine. Doing so can help you detect hearing problems and their causes early.